Make a day of it! Click here for more things to do in the area! Want to stay a while? Click here to book a room! A couple who has not booked their venue and are interested in the beautiful Preston Barn! 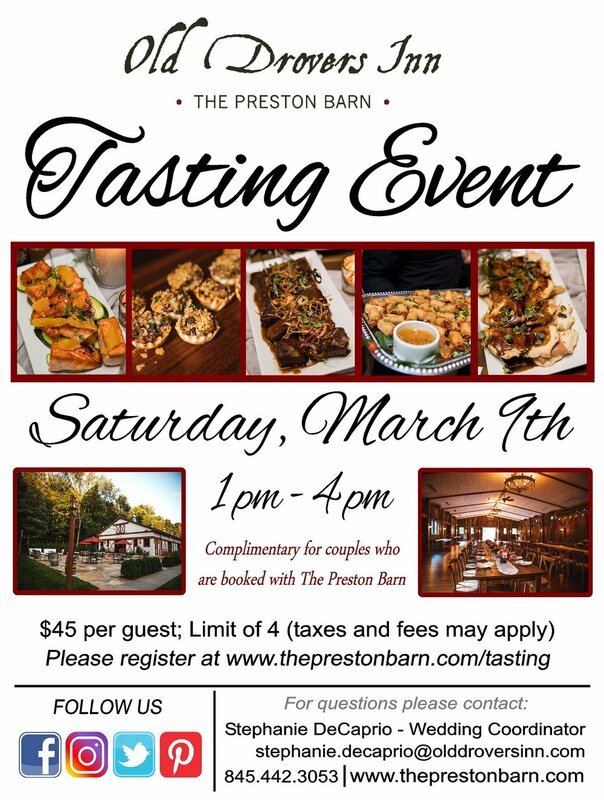 A couple who has booked the Preston Barn and can’t wait to pick their tasty menu selections! Guests of one of these couples who just can’t wait to taste this amazing food! Booked couples and two of their guests are complimentary. Couples who are not booked and attend this tasting will have the amount paid for this event (before taxes and fees) applied to your invoice if you decide to book. Otherwise, you still get a delicious lunch. What do you have to lose? Tickets are limited to 4 per couple. Booked couples may purchase up to 4 additional guests.